Escali Waterproof Digital Thermometer is built to last. 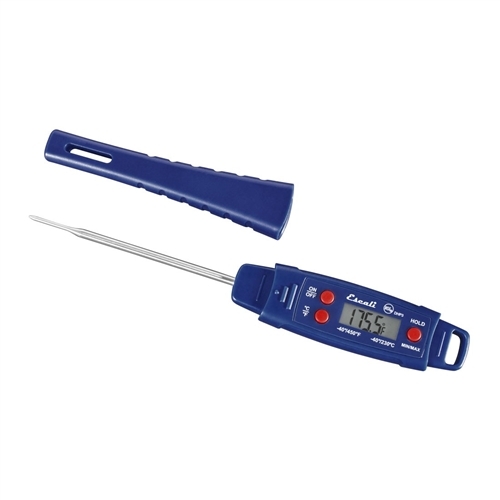 Heat treated plastic with extra durable buttons and a quick read steel probe combine for the ultimate in temperature measuring tools. Very handy especially checking temps in poultry processing.